Finches are small, compact birds 310 in. (1027 cm) long. Most use their heavy bill to crack seeds; many also eat insects. Many finches are brightly coloured, often with shades of red and yellow. 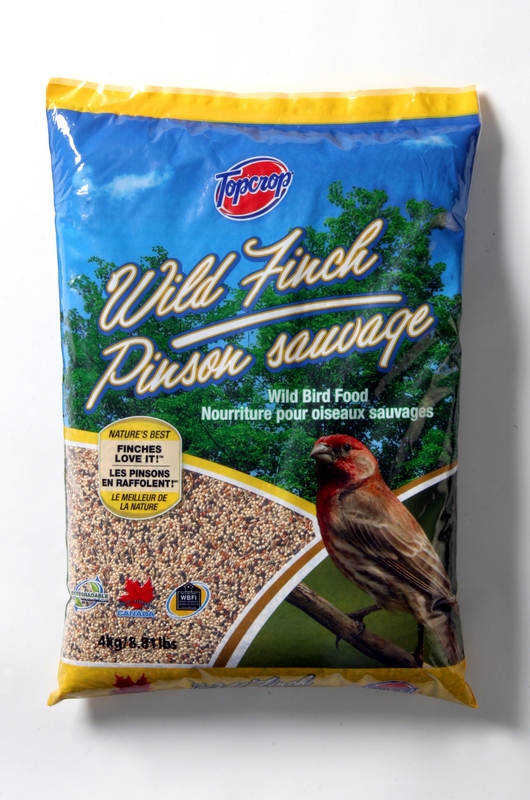 Topcrop Wild Finch Food is best suited for feeding wild Finches such as the American Goldfinch, the Redpoll, the Purple Finch and the House Finch. White Prosso Millet, Red Millet, Canary Seed, Canola seed, Nyjer Seed ("Guizotia abyssinica" niger), Mineral Oil.